The last session of the Kids Halaqa was focused on the Tafsir of Surah al-Nasr. Alhamdolillah, I found a lovely breakdown of the Tafsir of Surah al-Nasr explained by Brother Nouman Ali Khan. 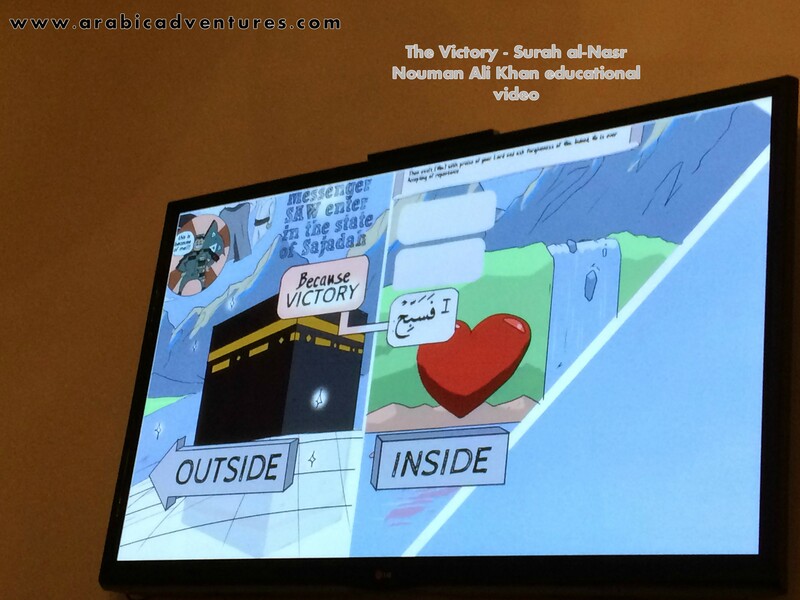 A lovely, short video which challenged the older girls and allowed them to engage with the Surah on a deeper level. Working off the Tafsir of this Surah, I focused on the theme of seeking of forgiveness from Allah and specifically the du3a of Yunus when he was in the belly of the whale. I felt I hadn’t given this aspect of the story more attention in the Pumpkin party. 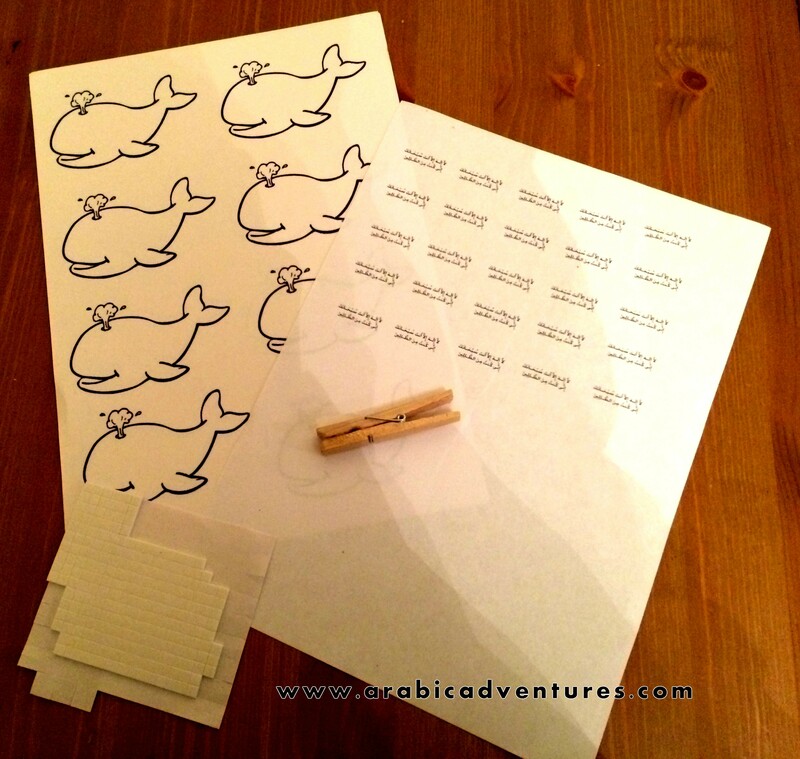 Kids then coloured in the whales in their chosen shade of blue. I decided to use these little double sided squares to stick the cut out onto the clothes peg. The little mini Surahs that show up in the middle need some adjustment to make sure it can be seen clearly – play around with it a little bit and it should work out. Interestingly, this turned out to be a good revision resource for this little dua3. HERE is a website with clear pictures and instructions on how to put together the above activity! I hope you found these resources useful inshallah. 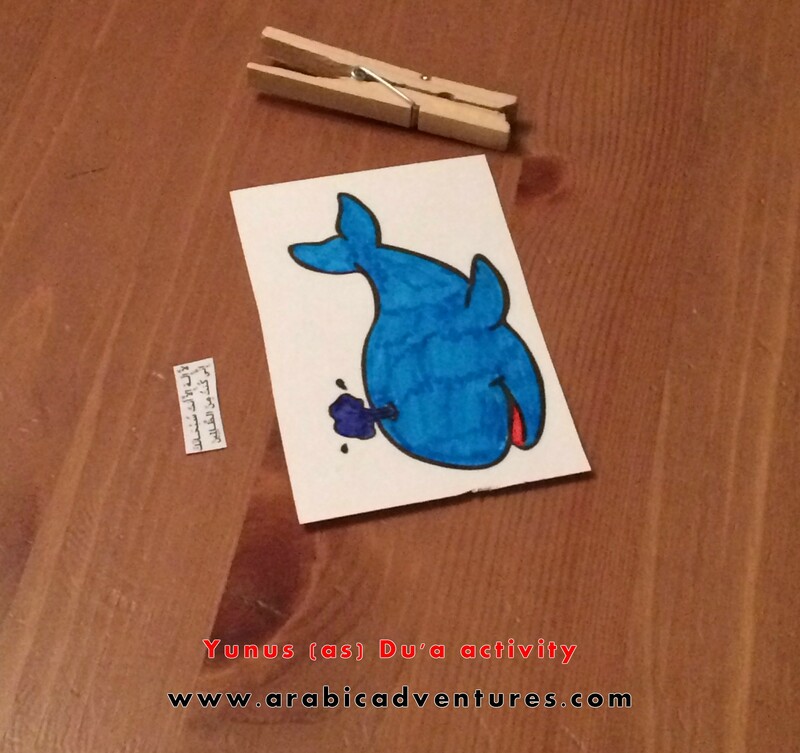 Arabic adventures is on Facebook and Pinterest. Do make sure to like and follow! 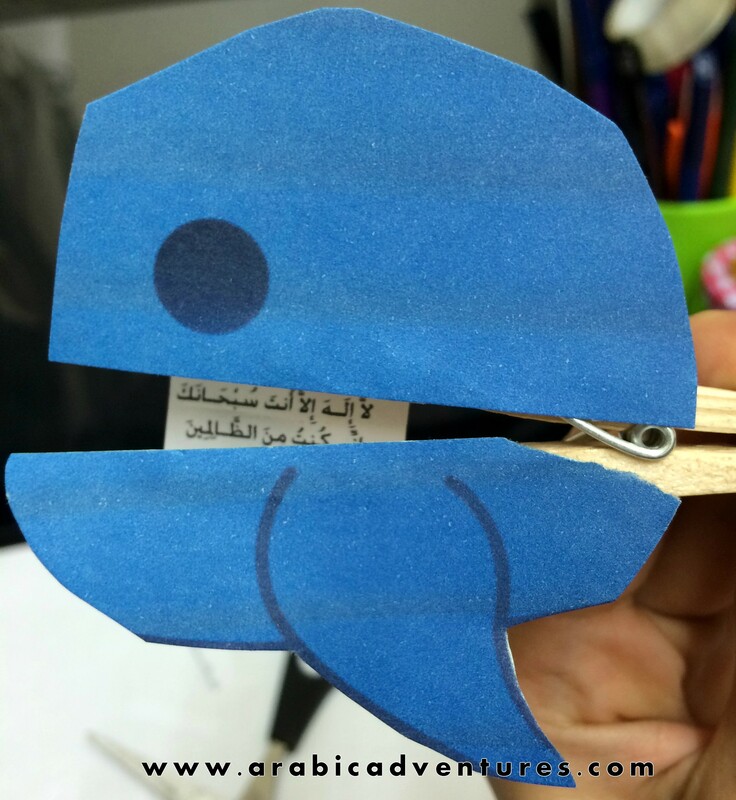 This entry was posted in Juz Amma, Juzz Amma Craft Activity and tagged activity, Qur'anic Arabic, Quran curriculum, quran syllabus, surah al-nasr, tafsir activities, tafsir for kids, yunus as and the whale. Bookmark the permalink. i’m seriously excited after coming across your website, Alaahumma baarik. i teach 7-9 year olds and i think some of your sheets will work wonderfully! Assalamu alaikum sis, Ma shaa Allah ,wonderful resources… May Allah bless you..Ameen! Just had a question: The links to the download aren’t working. Could you please look into it so that we can still benefit from your amazing work…Barakallahu feeki!